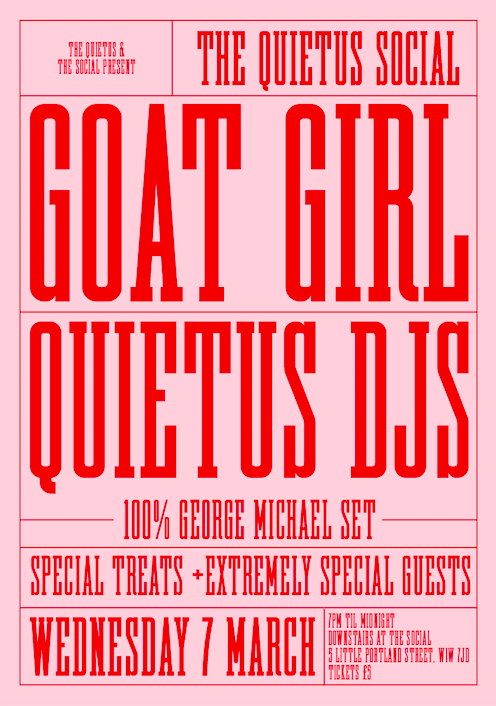 GOAT GIRL headline the very first Quietus Social night next week. Every three months – spring! summer! autumn! winter! – there’ll be bands, DJs, special little treats and very special guests. The first one is NEXT WEEK – on Wednesday 7 March – and tickets will be £5. We’ve just confirmed Goat Girl as our headliners and we are very excited. There’ll be other special guests and special treats, and we can’t wait to see you there.